The October wallpaper is available for download from Solitary Elegance, and just in time for the new BBC miniseries, this month it’s all about Emma. Alert Janeites will notice in the background a piece of music published in one of Ackermann’s sister fashion journals, La Belle Assemblée. Miss Woodhouse (standing to the left, in a ball dress from 1809) may approve of the title and tune, but Miss Fairfax (elegantly seated on the right in an 1813 evening dress) will probably prefer “Robin Adair” for reasons best known to herself. Whether you’re one of the lucky ones who will be watching Emma this weekend, or waiting to read all about it, October’s wallpaper will set the mood. Enjoy! A novel idea to use an authentic piece of Regency music for Wallpaper. And a music wallpaper is so appropriate for Emma. 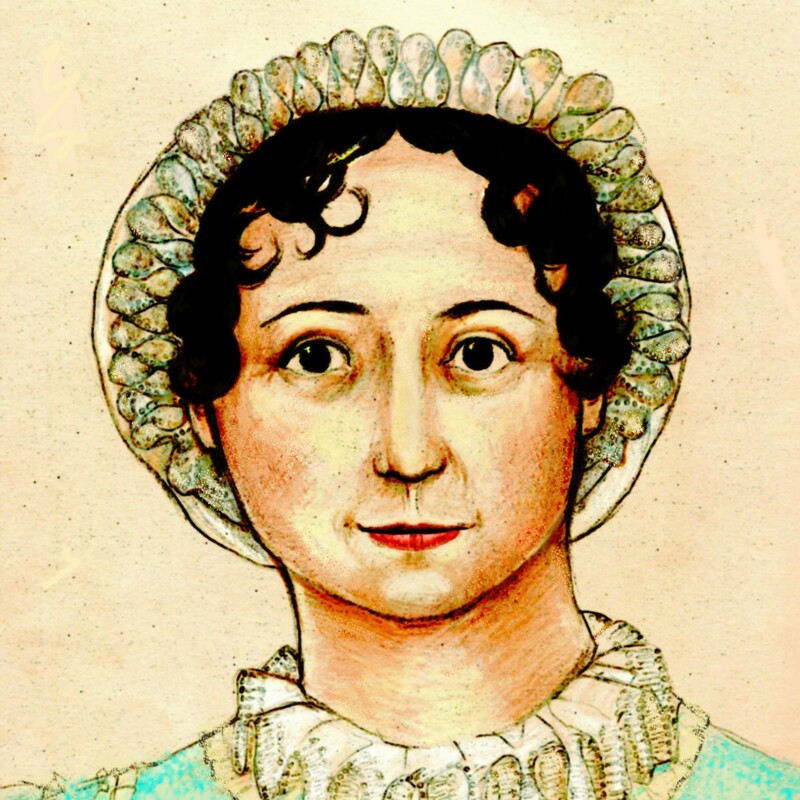 Heather, thank you for the hard work of transcribing your texts for Jane people to enjoy. I like the ball dress in the Oct wall paper, quite unique. Thanks Heather.